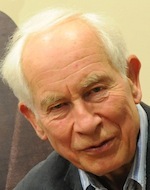 Author Sir Patrick Bateson, explains the importance of play in the development of humans and other mammals, and how it can help in later life. 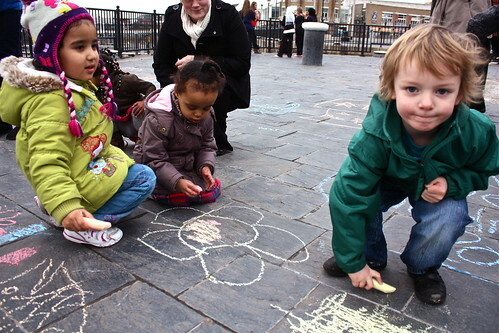 Play helps us to develop skills for later life. Photo: National Assembly for Wales. Play is serious business. Like children, other young mammals do lots of it and so do many birds. It helps them and it helps us, providing experiences that can be brought to good use in later life. Above all, playfulness and humour facilitate creativity. Coming up with novel ideas has many facets but the capacities to be creative are different from implementing ideas in forms that are beneficial to others. Some people are good at both being creative and doing something useful with their originality, but many who are good at one are hopeless at the other. Some altered states of consciousness such as dreaming have similarities with playing. These states occur in a protected context and do not occur when the individual is stressed. Being creative is enhanced by some psycho-active drugs such as alcohol and LSD – at least when the drug is taken in small doses. Interesting and sometimes important links are made between different areas of thought and action. We discuss these ideas and much else in our book. While we have attempted to bring a fresh approach to the subject, we have rooted our arguments in evidence. Much remains to be discovered and we draw attention to work that needs to be done. Even so, enough is already known to support our belief that playfulness should be encouraged in both childhood and adult life. Playful behaviour and playful thought can generate radically new approaches to challenges set by the physical and social environment. Our book, Play, Playfulness, Creativity and Innovation (out now), suggested a new piece of research by one of us. In an online survey respondents were asked the extent to which they acted playfully. They were also asked, among many other things, the extent to which they were creative. More than 1500 people completed the survey. Those who regarded themselves as playful were also most likely to believe that they came up with new ideas and were open to new experience. They also produced the largest number of fanciful uses for a jam jar and a paper clip. 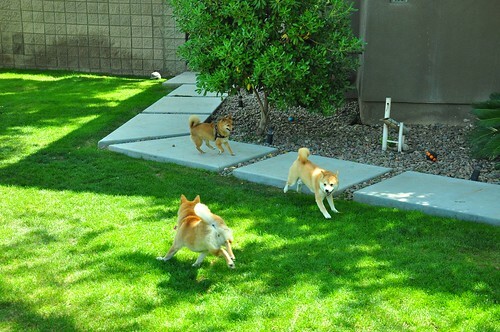 Three Shiba dogs playing chase. Photo: Taro the Shiba Inu. Much of our book is concerned with human creativity and innovation. However, we also review the literature on play in animals. We distinguish between playful play and play that can be quite aggressive. We discuss the biological functions of playful play and how it might have evolved. Although the consequences of play are most obvious during the lifetime of each individual, we argue that play also affects biological evolution by enabling organisms to adapt rapidly to novel environments. In this way play drives the evolution of greater complexity of behaviour and creates the conditions for further evolutionary change. We argue that individual humans and, more generally, human organisations can exploit playfulness as a tool for fostering creativity and innovation. We hope that our conclusions will interest those who are concerned with creativity and innovation, whether for the public good or for commercial benefit. Playfulness in adult life affects the readiness with which people develop new ideas and has a broad influence on human relations. Given the importance of play in child development, we hope too that those involved in education will draw inspiration from reading it. 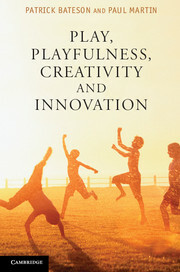 Patrick Bateson is one of the authors of Play, Playfulness, Creativity and Innovation (out now). His co-author is Paul Martin.